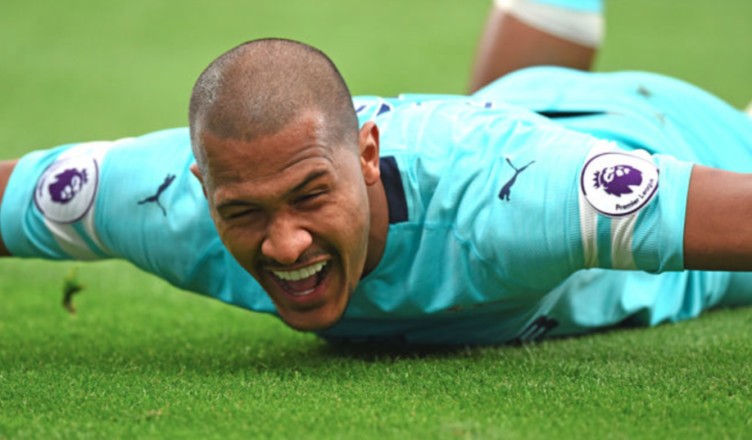 Huge Salomon Rondon claims emerge from former Chelsea striker – NUFC blog – Newcastle United blog – NUFC Fixtures, News and Forum. Tony Cascarino believes Salomon Rondon is a “£50m striker’ on current form – claiming he’s been the ‘signing of the season’ and could be a Champions League player. Following his stunning free-kick in Saturday’s 2-2 draw at Bournemouth, the big Venezuelan’s tally is now up to 10 goals and 5 assists for the season – however no amount of stats will do the role he plays in our team justice. “There hasn’t been a better signing this season, but he is only on loan at Newcastle. He really has been a revelation this season. Many fans weren’t sure he was the answer when we saw him replace the outgoing Aleksandar Mitrovic last summer, but he’s worked an absolute treat in Benitez’s system. An impressive tally of 10 goals and 5 assists in 26 appearances is one thing, but his hold up play, his ability to bring the best out of others, his work rate, power, movement and fight really have combined to make him look the full package – and a player well worthy of that number 9 shirt.